The nose-to-tail culinary concept is peaking by the day in Kuala Lumpur. Our first impression of Entier by Platform Hospitality Group led to the discovery that an appreciation for our food sources can transform the flavours on our plate. 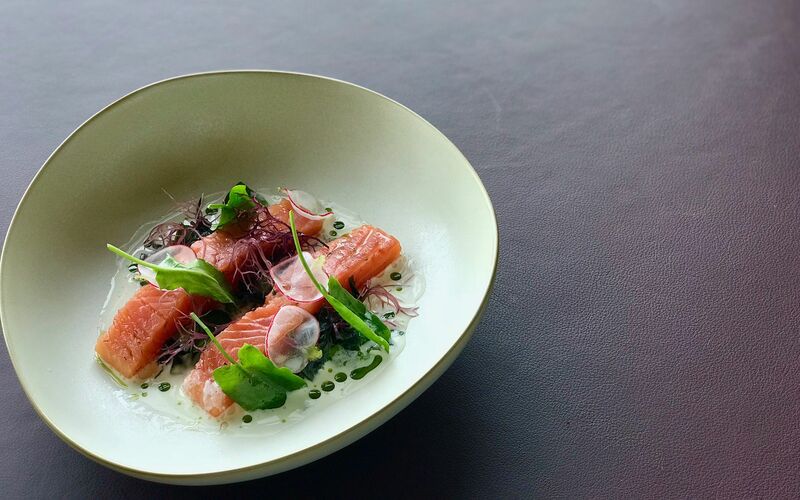 From the founders of Botanica+Co and Bocosan Izakaya, Entier is proving to be that young sibling to be taken seriously by the city’s epicureans , with its avant-garde approach to fine dining. Platform Hospitality Group’s Entier is the latest addition to the newly-opened Alila Bangsar, 41 floors above the second Botanica+Co restaurant. Entier – French for the restaurant’s ‘entire’ philosophy – owes its creative spirit and wholesome approach to Chef Masashi Horiuchi, the earnest and meticulous gastronomic wizard. His 2-decade career took him under the wing of world-renowned chefs, including Michelin-starred L’Atelier de Joël Robuchon in London. A culmination of his background is in the foundation of Entier, where French culinary finesse meets his Japanese precision, while honouring people, plate and the planet. Entier’s menu stars local and seasonal fresh produce: Each dish aims to enchant and stimulate the tastebuds, with special attention to the unconventional part of an animal or plant. The menu’s ‘fun dining’ concept of sharing platters include stars like chicken; roasted in a salt crust dough with a side of silken chicken fat mashed potatoes, salmon; cured and nestled in konbu cream, seasoned with seaweed dashi, and cauliflower; roasted whole in a cloud of cheese, thyme and mornay sauce, beg us to appreciate conventional ingredients and their versatile taste profiles. For dessert, we strongly recommend the chocolate like the chocolate and cardamom dish, with Pahang cacao infused in a ganache and ice cream, paired with hazelnut feuilletine. Wine pairing is another rabbit hole altogether, with varieties selected by the discerning palate of Laurent Robert of Delia Wines. With its sensual flavours, a chef’s dedication, sumptuous ingredients, and fine wines to boot, Entier makes us rethink the humble origins of food. For reservations, call +01-6263 0596 or visit entierfrenchdining.com for more information.